I have already made it known that I love Dallas Royce as a human being. I think I would also very much appreciate having her as a mother. Being a child in the Royce household means you get a custom bedroom skylight and a pet kangaroo. A pet kangaroo. Enough said. They’ve pretty much got it all – great house, great dog, great catchphrases (you got it, dude!) – all that’s missing is their mom. While nothing can really replace the parent that DJ, Stephanie, and Michelle lost, Uncle Jesse and Joey are a pretty awesome substitute. It’s not every kid that gets to be raised by a neat freak TV host, a rock star who cares more about his hair than I ever will, and a puppeteer who dated Alanis Morissette. These Tanners were a pretty standard family until a visitor from the planet Melmac crash landed into their garage. You have to be a pretty cool set of people to just adopt an extraterrestrial into your home. 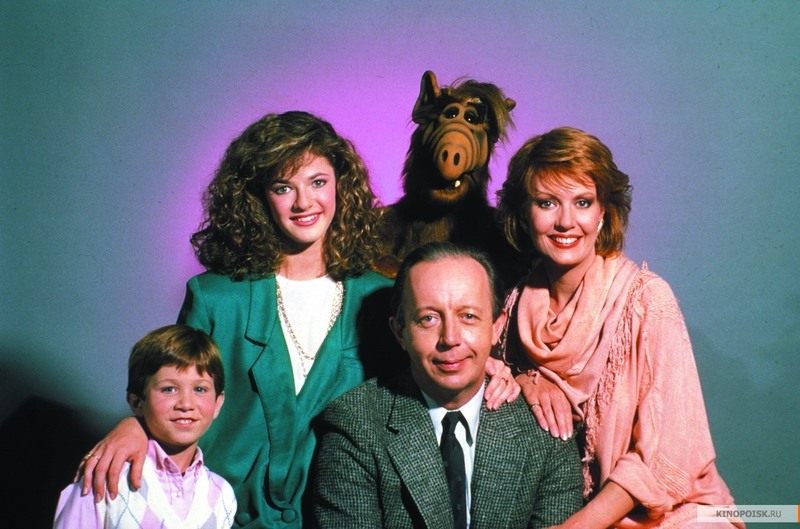 And if you’re going to add an alien to your family, it had best be Alf – he’s funny, he’s adorable, and he’ll only occasionally threaten to eat your cat. Obviously the biggest perk to being a member of the Spellman family would be the magical powers. Even if those weren’t on the table, though, I think Hilda and Zelda are pretty great as guardians go. Aside from the questionable choice to pursue relationships with school administrators, they have a fantastic sense of style, plan great vacations (who has aunts who take them to places like Hawaii and Mars? ), and teach important lessons like the value of a good flan. So here’s the thing – Jed and Abbey are pretty much the best ever, but I was always a little underwhelmed by the Bartlet daughters, which is why I think I would be an excellent addition to this family. Sure, it would probably get annoying to have a father who thinks he knows it all, is usually right, and also gets to keep tabs on your every move via the Secret Service. But the awesome factor of having a dad who is a genius and the leader of the free world would probably balance that out. Sometimes, you need a parent who’s really going to be on your side. In Ashely Marin, you get a parent who’s willing to run a guy over with a car if it means keeping her daughter safe, then come home, have a glass of wine, and be all “Hey honey, how was your day, mine was okay, I maybe killed a guy to keep him from murdering you, no big.” Ashely’s also not above lesser favors, like stealing money to keep Hanna in the latest fashions, or sleeping with a cop to get him to drop shoplifting charges against Hanna. Okay, so maybe she’s not a great role model, but she is a mom who’s willing to do whatever it takes to protect her daughter’s well being. They may not be the most affectionate family on TV, but unconditional love and support is not why you join the Crawley family. You join for unadulterated aristocratic awesomeness. What the Crawleys lack in warmth, they make up for in tradition, and a gift for making cutting remarks. You wouldn’t think a family with an alcoholic mother who abandons her family would make it to near the top of my list, but the fact that it does speaks to the fact that Keith Mars is pretty much the best single dad ever. Watching the show, you never feel like Veronica is missing out on that much with her mom gone, because her dad clearly loves her more than anything in the world. More than that, he knows when to treat his daughter like an equal, and when to treat her like a parent; the rapport between father and daughter is excellent, and usually hilarious. Between the prospect of Keith as a dad and sassy spitfire Veronica as a sister, I would happily join the Mars clan any day. So this isn’t a family in the traditional sense, but if TV has taught me anything (and it has taught me many things), it’s that the family you create for yourself is just as important as the one you’re born into. There are tons of families like this on TV, but the community on Community (ha!) is so special because it’s an interesting and diverse group of people who came together out of randomness, and have grown to truly love and care for each other. If going to a community college meant I could find a group like that, I’d already be enrolled. The best part about the Cohen family is that you can believe you might actually be a part of it, as Sandy has a thing for taking in stray humans. And once you’re a member of the Cohen family, you’ll have two caring parents, a hilarious and geeky brother, the ability to celebrate Chrismukkah, and access to the best that Newport Beach has to offer. Most importantly, you’ll get to see Peter Gallagher’s eyebrows every morning over breakfast. So that’s my top ten of TV families I’d like to join. Who’s on your list? *I apologize for the lack of traditional TV families, such as the Cosbys and the Bradys, on this list. I have been told by friends that these, among others, are incredibly awesome, but apparently there was some sort of pop cultural void in my childhood where I didn’t really watch any of these shows.